Coba is a large ruined city of the Pre-Columbian Maya civilization, located in the state of Quintana Roo, Mexico. 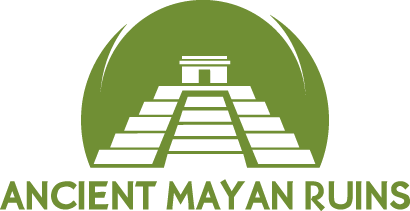 It is located about 90 kilometres (56 mi) east of the Maya site of Chichen Itza, about 40 kilometres (25 mi) west of the Caribbean Sea, and 44 kilometres (27 mi) northwest of the site of Tulum, with which it is connected by a modern road. From the top of Coba’s ancient pyramid, the jungle looks like a living green carpet. Because Coba doesn’t see as much tourism as places like Chichen Itza or Tulum, so you can actually still climb some of the structures for a totally different and unique perspective. But there are many other reasons to visit the city of white roads. Archaeologists believe the Mayan ruins of Coba were an incredibly important city for the Maya people. However, due to its remote location, the site is not as popular with tourists as other ruins in Mexico. The adjacent modern village reported a population of 1,278 inhabitants in the 2010 Mexican federal census. Coba traded extensively with other Mayan communities, particularly the ones further south along the Caribbean coast in what is now Belize and Honduras. It utilized the ports of Xcaret, Xel-Há, Tankah, Muyil, and Tulum. Archaeological evidence indicates that Cobá was first settled between 100 BC and 100 AD. At that time, there was a town with buildings of wood and palm fronts and flat platforms. The only archeological evidence of the time are fragments of pottery. After 100 AD, the area around Coba evidenced strong population growth, and with it an increase in its social and political status among Maya city states which would ultimately make Coba one of the biggest and most powerful city states in the northern Yucatán area. Between 200 and 600 AD, Coba must have dominated a vast area, including the north of the state of Quintana Roo and areas in the east of the state of Yucatán. This power resided in its control of large swaths of farmland, control over trading routes, and—critically for a Mayan city—control over ample water resources. Among the trading routes, Coba probably controlled ports like Xel Há. Coba must have maintained close contacts with the large city states of Guatemala and the south of Campeche like Tikal, Dzibanche or Calakmul. To maintain its influence, Coba must have established military alliances and arranged marriages among their elites. It is quite noteworthy that Coba shows traces of Teotihuacan architecture, like a platform in the Paintings group that was explored in 1999, which would attest of the existence of contacts with the central Mexican cultures and its powerful city of the early Classic epoch. Stelae uncovered at Coba are believed to depict that Coba had many female rulers. After 600 AD, the emergence of powerful city states of the Puuc culture and the emergence of Chichén Itzá altered the political spectrum in the Yucatán peninsula and began eroding the dominance of Coba. Beginning around 900 or 1000 AD, Coba must have begun a lengthy power struggle with Chichén Itzá, with the latter dominating at the end as it gained control of key cities such as Yaxuná. After 1000 AD, Coba lost much of its political weight among city states, although it maintained some symbolic and religious importance. This allowed it to maintain or recover some status, which is evidenced by the new buildings dating to the time 1200-1500 AD, now built in the typical Eastern coastal style. However, power centers and trading routes had moved to the coast, forcing cities like Coba into a secondary status, although somewhat more successful than its more ephemeral enemy Chichén Itzá. The Greatest of the Coba Kings was King Goon. Coba was abandoned at the time the Spanish conquered the peninsula around 1550. As of 2005 the resident population of Coba pueblo was 1,167. It grew to 1,278 by the 2010 census. The archaeological site of Coba has increasingly become more visited by both national and international tourism in Mexico. One of the main attraction to visitors of Coba is the Ancient Pyramid which unlike Chichen Itza’s Kukulkan Pyramid, is still open for the public to climb its 130 steps up to the top of the site. Additional to this, Coba has several Tour operators with excursions available to this site from almost any point within the closest and top Touristic destinations of Cancun and its Riviera Maya. Coba is estimated to have had a population of over 50,000 at its peak. There are many tall stone carved monuments at the complex, called stelae. Some stelae here depict women, suggesting the city had many female rulers. Coba’s claim to fame is the largest network of stone causeways in the ancient Mayan world, called sacbes (white roads). Over 50 of these roads have been discovered at the site, with 16 of them open to the public. The raised stone pathways connect clusters of residential areas to the main pyramid area of Nohoch Mul and small lakes used as a water supply nearby. There are three ways to explore the ruins along these roads. You can walk, hire a bici taxi, or my personal favorite, rent a bicycle. Mysteriously no one really knows how the Maya transported goods along these roads. While scientists believe the Maya knew about the existence of the wheel, there’s no evidence they actually used them. Coba isn’t as excavated as other sites, so you feel like you’re wandering through a forest, with many structures still covered in trees. There are two well-preserved ball courts on the site too, used for playing ōllamaliztli, a traditional Mayan ballgame. The largest pyramid at Coba is called Ixmoja, part of the Nohoch Mul group of buildings. The pyramid is 42 meters (138 feet) tall and was the heart of the city. Unlike other Maya sites, you can still climb this one, if you dare! This is why there’s a thick rope in the middle for safety. But the view from the top is totally worth the climb. A light breeze cools you off from the summit while gazing at the lush jungle landscape stretching out in all directions. Plus, there aren’t many places where you can climb a Mayan pyramid anymore. As a site gets more popular and tourism increases, authorities eventually restrict climbing to preserve structures and reduce accidents. Be careful climbing down the pyramid, it’s more difficult than going up! Speaking of water sources, no visit to Coba would be complete without taking a dip in the refreshing limestone cenotes nearby. Cenotes are underground sinkholes filled with fresh water, found all over the Yucatan. There are 3 cenotes just a 10-minute drive away from the ruins. Cenote Choo-Ha is a shallow water cenote with crystal blue water and many stalagmites hanging from the ceiling. Cenote Tamcach-Ha is a deep underground cavern with two fun jumping platforms at 5 & 10 meters (15 & 30 feet) high. Cenote Multun-Ha is a bit further away in the jungle and boasts a large wooden deck. The entrance fee for each cenote is 55 pesos ($3 USD). They are a wonderful way to cool off after a hot day exploring the Mayan ruins of Coba! 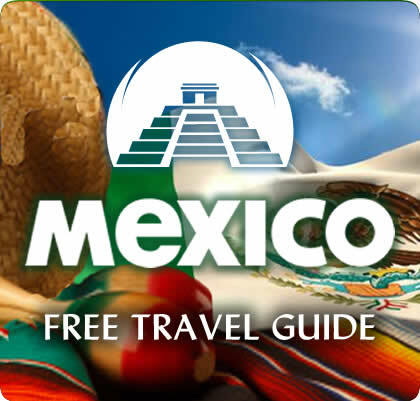 For the budget minded, you can get to the site via bus from Cancun, Playa del Carmen, or Tulum. Colectivos (public taxi vans) are also an option, however you’ll have to change vans in Tulum. Renting a car is the most flexible and allows you to visit also cenotes. The road is an easy and smooth ride. At the ruins, you can hire a guide to explain the history, or just wander on your own. Renting an old bicycle for 45 pesos and riding around enables you to see the most in the shortest period of time. Whatever you decide, remember to bring sunscreen & water because it can get hot! Plus sturdy shoes if you plan to climb the main pyramid.